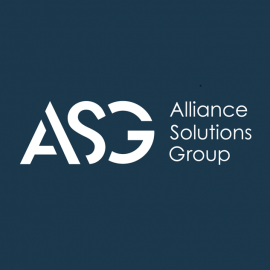 ASG Home General What is a staffing agency and why should use one to fuel your career? Whether you’re thinking about making a career switch or in between jobs, working with a staffing agency is a great option when looking for your next job. 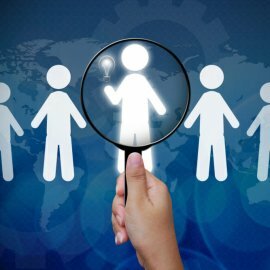 Staffing agencies are used by companies to find employees to fill open positions. Staffing agencies employ recruiters who have extensive knowledge of the industry in which they recruit for. Using that knowledge, recruiters are able to match the most qualified candidates with their clients. Clients are looking to hire both temporary and permanent employees depending on the skill, experience and type of positions available. The staffing industry employs almost 15 million people each year in a variety of industries. Recruiters who work at the agencies make it their mission to help find the right opportunities for both candidates and employees. Their goal is to make the perfect match! How can a staffing agency help me? When you apply to work with a staffing agency with you will be paired with a recruiter. This recruiter should become your new career guru! They are knowledgeable about the industry, job outlook and have many meaningful connections. You are building a relationship with your recruiter, which means you must be honest about what you want in a new job. Before deciding to work with a recruiter, you should develop a vision for your career. Take some time to think about where you want to be in five years and what skills and work it will take to get you there. Having an idea of where you want to be will help your recruiter find jobs that will help you get there. It’s true that many jobs within a staffing agency are temp or contract positions, but according to the American Staffing Association, one-third of employees were offered a permanent job by a client where they worked an assignment. Working with a staffing agency is one of the best ways to get your foot in the door and make a solid impression during your time there. There’s a good chance you could move into a permanent role, or that you’ll get called back later when a permanent position becomes available. At the very least, working temporary or contract jobs is one way to continue gaining experience and keeping your skills sharp while you search for a full-time position. Another perk to working with a staffing agency? Flexibility! You’re not in a long-term commitment, so you have plenty of time to build a life schedule just how you’d like. You can pick and choose what type of work you want to do and when which is perfect for a new mother reentering the workforce or a busy college student juggling classes. You’ll continue to gain experience and meet industry professionals on your own terms. Working with a staffing agency is a unique way to gain experience, refine your skills, get your foot in the door and fuel your career. If you’re ready to take a step towards a new career, contact us today.